You may remember back during the week of SIHH earlier this year we reported the passing of Walter Lange, the man who revived A. Lange & Söhne and made it into what it is today. Well, the good folks at Lange decided the best way to remember and honour him was to create a watch dedicated solely to him. 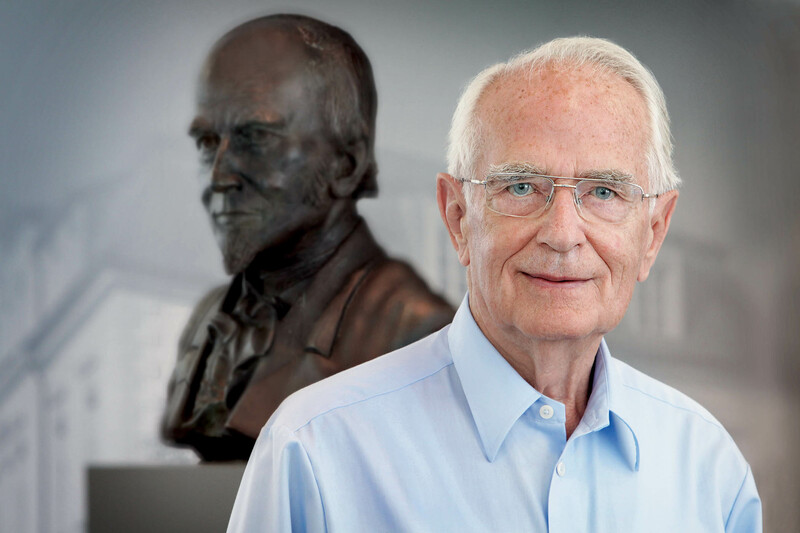 It was thanks to Walter Lange, a direct descendant of the company founder, Ferdinand Adolph Lange, and Günter Blümlein that Lange exists today. They restarted the company in 1990 under the name Lange Uhren GmbH, not too long after the fall of the USSR. In 1994, they presented their first new watch, the iconic Lange 1, which has remained almost the same to this very day. 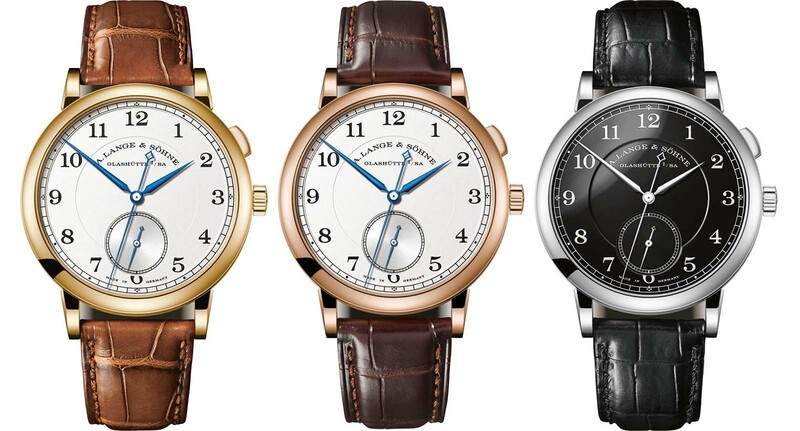 Lange based their new watch, dedicated to their revivalist, on a model from the 1815 line of watches, which are traditionally styled dress watches in comparison to the sharp almost Bauhaus lines on the Saxonia collection. The watch will be available in three different precious metals: yellow gold, pink gold and rose gold. Oddly enough, all three models have a differing number of examples that will be made. The ref. 297.021 (297 comes from his date of birth, the 29th of July, the seventh month) model is restricted to only 27 watches, as the manufacture was revived 27. The pink gold watch is limited to 90, as the manufacture was restored in 1990, and finally, the white gold is limited to 145 watches as Lange Uhren was founded exactly 145 years after Ferdinand Adolph Lange’s watch company. There’s more to the watches than that, though. You see, these watches contain a unique mechanism inside, created by Walter Lange’s great-grandfather, Ferdinand Adolph Lange. If you take a look at the watches you will note there is something different about them. They appear to have two seconds hands for no real reason. While the former is correct, the latter is not, in fact, it is the central seconds hand which is dedicated to both Walter Lange and Ferdinand Adolph Lange. While the sub-seconds hand is continuously running, the central hand can be activated and deactivated via the pusher at 2 O’clock.The mechanism is known as the ‘flirt and star’ system, where a six-tipped star-wheel moves a pre-tensioned lever arm, this is where the flirt part of the name comes from. The arm spins 360 degrees and is then stopped by the next tip of the star wheel. This system means that the central seconds hand ticks in the way a quartz or a deadbeat seconds watch would. Because you control this system with a pusher at 2 O’clock, you could use this as a rudimentary chronograph, although the event must be under 60 seconds unless you want to tally the minutes yourself. I think it would just be cool to have both seconds running at the same time. 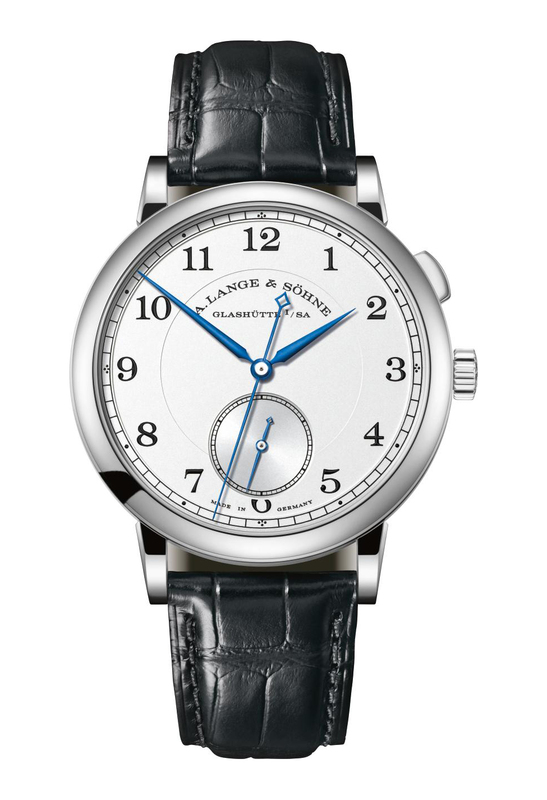 At the same time as these limited edition watches, Lange did something it hasn’t done in over a decade. It released one of its watches in steel. That’s right; there is a single example of this watch to be made with a black dial and a stainless steel case to it, reference 297.078. The reason? It’s going to be auctioned off, and the proceeds will go to a charitable cause. As well as the steel case, there is also a black enamel dial on this watch, made of only one piece. The calibre in this watch is known as L1924, the year of Walter Lange’s birth. Next ArticleCan Omega Enter The Online Market And Maintain Brand Value?